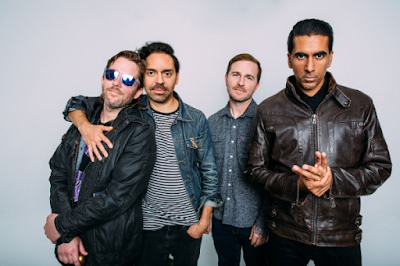 With a little over a week remaining until the release of "9" - their highly-anticipated first new full-length in five years - Saves The Day have premiered a new single entitled “Side By Side” along with an official video. “Side By Side” is a nostalgia-drenched alt-rock anthem that reflects on the very beginnings of Saves The Day and Chris Conley’s musical journey. Sonically, the track sports a massive hook that is propelled forward through a wall of screaming guitars and cannon-esque percussion. The perfectly-placed guitar leads throughout help to add another level of octane to a track already fueled by the spirit and energy of a group of teenagers with big dreams starting a rock band in their garage. The video, which was directed by Robyn August, captures that process as friends become bandmates and have the time of their lives building towards their first gig. As anyone who has played in a band will tell you, the first few stages of doing so are some of the best times you’ll ever have, and this video captures that wild hopefulness perfectly.